Only a few days are left before Turkey’s April 16th constitutional referendum on the transition to an authoritarian presidential system. Those who thought that the referendum would be a piece of cake for the government given the countrywide state of emergency were proven wrong. 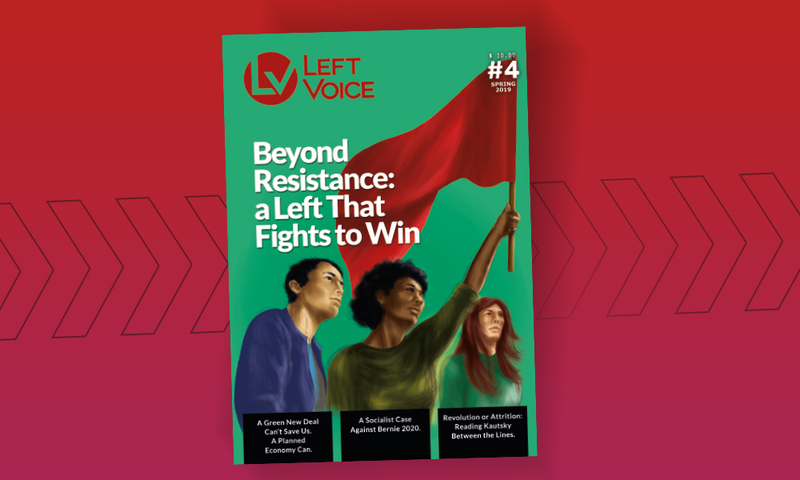 Left Voice’s second issue, “Women on the Front Lines”, is now available to purchase. For every magazine sold, we will donate a dollar to a worker controlled factory in Argentina. The vivacity of the different “No” campaigns, in face of the state’s heavy handed tactics, is a considerable source of hope for all forces of social opposition, regardless of the eventual outcome of the referendum. 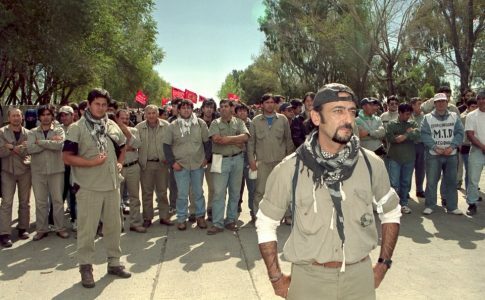 In the little time that remains, we must not only strive to increase the “No” votes, but also initiate a debate on our strategy for the post-referendum period so that we are not once again caught unawares, as was the case after the general elections of June 7th, 2015, when the pro-Kurdish HDP (People’s Democratic Party) had polled over 13%. President Erdoğan, when faced with the fragmentation of the ruling power bloc, (which became evident with the July 15th failed coup attempt organized by Gülenists, his erstwhile allies), was obliged to form a fresh alliance with various other cliques within the state apparatus. The basis of this new alliance was waging war against the Kurds in Turkey and Northern Syria -especially preventing the creation of a “Kurdish corridor” in Rojava. As such, Erdoğan’s 180-degree turn on the Kurdish question gave him leverage in building new alliances and strengthening his position within the state, and thereby expanding his social base. Rampant militarism served to render the state of emergency -declared after the July 15th coup- legitimate and acceptable, and also acted like a glue binding together various political cliques with conflicting interests. The result was a series of so-called “national and patriotic” alliances within the state apparatus. The rapprochement with nationalist figures such as Bahçeli, Perinçek, Ağar, Feyzioğlu and Baykal gave Erdoğan the chance to present himself as the leader and spokesperson of the state’s united backlash against the Kurds, in the complicated political conditions following the coup attempt. However, had this new alliance become permanent, it would have been necessary to strike a balance among these different cliques, and therefore to share power with them, as was once the case with Gülenists. At that point, the referendum appeared as the best way to prevent such a power-sharing arrangement, and thus to reorganize the relations between the cliques under the undisputed dominance of Erdoğan. 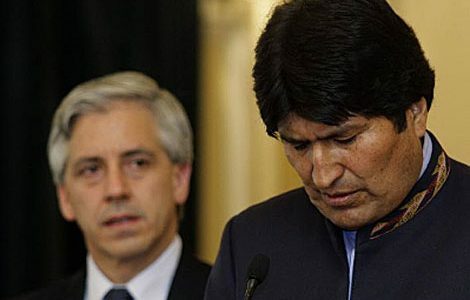 Although the referendum risked alienating some of the new allies, it was meant to simplify the rivalry between these cliques within the state by confirming the position of the “boss” at the very center. In brief, although many observers, including some on the Left, attribute some kind of an omnipotence to Erdoğan, he in fact has been obliged to organize this referendum, which is a very risky bet with an uncertain outcome. The government’s initial claim that the outcome would be a resounding victory for the “Yes” has dissipated rapidly. Even the government circles were obliged to confess indirectly that the contest has turned into a close-fought one. Although the Erdoğanist block seems strong on paper, it has not so far been successful in dominating the referendum atmosphere and establishing its uncontested supremacy. Indeed, maybe for the first time, the apparatus of the ruling party, AKP (Justice and Development Party), seems rather disorderly in the run up to an electoral process. The government circles are fearful that some sections of AKP, and of MHP (the Nationalist Action Party, which acts like a de facto coalition partner to AKP) constituencies may not perform as expected in the referendum. MHP’s supporters across Central Anatolia, who are known to vacillate between AKP and MHP, seem to tilt strongly for a “Yes” vote; however, a large part of its supporters in the Western and Southern coastal regions may opt for the “No”. It seems that even AKP’s aggressive ground incursion in Northern Syria failed to create a drastic change of sentiment in this group. Neither did the government’s attempts to equate No-sayers with terrorists and traitors find a strong echo. Likewise, in the AKP constituency, there seems to be some “worried” pragmatists who may refrain from voting “Yes” even if they don’t vote “No”, and they may start to express their opinions somewhat louder. On the other hand, HDP’s massive meetings in celebration of the Nawroz festival have shown that the Kurdish party’s ties with its base remain strong despite claims to the contrary, and that the “No” may poll strongly in the Kurdish provinces. Although it is not possible to predict the referendum’s results, the difference between the “Yes” and “No” votes will most probably be minimal. As such, even if the “Yes” prevails by a thin margin, this will not be enough to stabilize Turkey’s fragile Bonapartist regime. Turkey does not have conditions favorable to the reinforcement of an absolutist regime, such as robust international alliances, long-term economic stability, expected high growth, or a consensus within the ruling class. As such, a victory of the “Yes” by a small margin will not mean that it’s all over for the social opposition. Such a defeat would certainly lead to a serious loss of morale, but it will not necessarily result in an irreversible rout. In case the “No” vote prevails, although many would expect -based on the experience after the June 7th elections- an escalation of state violence and a swift reestablishment of Erdoğan’s dominance, he may not pull it off so easily this time. If Erdoğan, who found himself obliged to opt for a referendum due to the increased fragility within state, fails to reorganize the alliances in the state apparatus to his favor through the referendum, his leeway will shrink significantly. 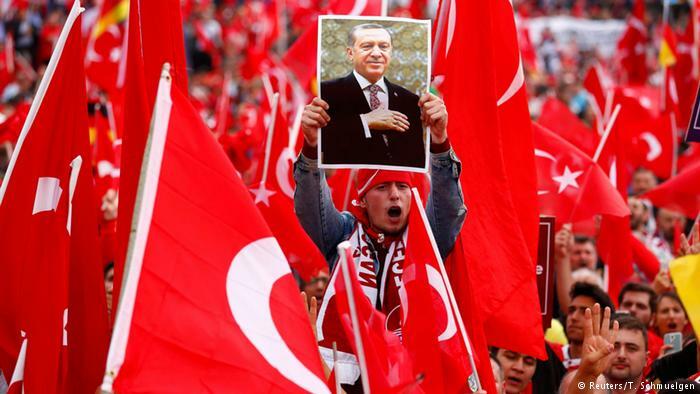 A victory of the “No” could accelerate the fragmentation of the right-wing bloc, and limit Erdoğan’s credibility and clout in the struggle among different cliques within the state. Such a result may therefore lead to serious fragility or even a decomposition of the current power balance, which is far from stabilized at the moment. However, in any case, the aftermath of the referendum will not be easy for the social opposition, as the government will most probably launch a harsh crackdown. A victory of the “No” would provide morale to the opposition and expand its capacity to maneuver; however, our tasks will become much more complicated after April 16th. As such, it is necessary to brace ourselves for the post-referendum period, which may be tough, but nevertheless conducive to a constituent political line. The various “No” campaigns have already brought about a certain restrengthening of the social opposition, which seems to have overcome the passivity and trepidation of the last one year period. However, we must not forget that this mobilization is still relatively weak considering the challenge ahead, and that its political content is at times fraught with problematic discourses (which sometimes border on liberalism, and even nationalism in the worst cases). 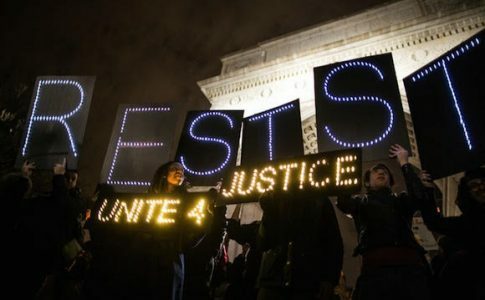 Although the “No” campaigns have given the socialist left the chance to return to the streets and to political activity among the masses, the socialist left constitutes only a small fraction of the “No” campaigns. There is a significant drop in the socialist left’s capacity to intervene in the political arena at the macro level. As such the question that requires an answer is how the socialist left will compensate for this weakness after the referendum and once again become a considerable force in the political arena. A very harsh political climate awaits us after April 16th, regardless of whether “Yes” or “No” prevails in the ballot box. The rise in the animosity towards the Kurds and the xenophobia towards Syrian refugees should be understood in such a context. Just as the “Yes” campaign is strongly anchored in nationalist themes, the “No” campaigns organized by CHP (Republican People’s Party) or by dissidents within MHP place a huge emphasis on nationalist arguments. As such, the overall result has been an expansion of nationalist discourse during the referendum process. This aggregate growth of the different (even rival) dialects of nationalism will pose a crucial challenge for us after the referendum. Unless the fight against authoritarianism is merged with the struggles against patriarchy and capitalism, the political arena may become limited to a fight among different right-wing cliques. The Left’s existing efforts to build a “holistic” anti-authoritarian stance with a clear class content are of course important and valuable. 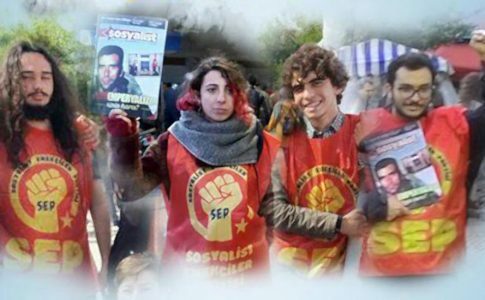 However, due to its structural defects, the socialist movement fails to expand this stance towards wider masses, making it less politically visible. As a result liberal, nationalist or republican arguments devoid of class content are much more visible in the political arena. It is necessary to employ united front tactics in order to make our political stance much more visible. We have the possibility to blend, in creative ways, the different currents of the social opposition which are mostly muzzled or repressed at the moment. By capitalizing on the inclusive and pluralist forms created during the referendum campaigns, we need to strengthen our united struggle and action on different levels in the aftermath of the referendum. Despite all its limits and deficiencies, the mobilization during the referendum provides a valuable starting point and points to the resources still available to the social opposition. 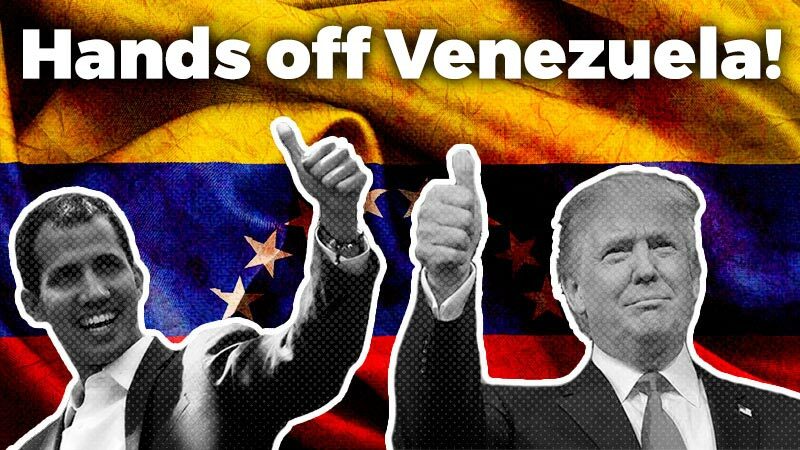 We must attach due importance to this mobilization, sustain it beyond April 16th, and turn the neighborhood “No” assemblies into the cornerstones of a united front from the below. In the tough post-referendum period, these assemblies may undertake joint political action to place the demands of the workers and the oppressed on the political agenda. For instance, it may be possible to launch after the referendum a powerful, joint struggle for the repeal of the countrywide state of emergency. A united front will not only boost the socialist left’s capacity to intervene in the political arena but also create a “megaphone effect” to prevent social struggles from becoming invisible and isolated. It is time to raise the slogan “This is just the beginning, the struggle continues!”, engraved in our hearts and minds since the Gezi uprising.